As we all know, Google doesn’t provide the option for viewers of YouTube to download videos from YouTube. But with the right program , you can get this done easily. And converting the video from YouTube to M4V video is also easy as long as you have the right program. In this post you could find the instructions that would lead you through the process of downloading and converting videos from YouTube to M4V for playback on iPhone. We don’t have the option for directly downloading videos from YouTube. So we are going to need some help from a third-party YouTube video downloader. Leawo Video Downloader is a one of the best online video downloader that can download videos from online video sharing websites like YouTube, Vimeo, facebook and Dailymotion, etc. Downloads videos from various popular online video sharing websites like YouTube and facebook. Built-in web browser for surfing the internet. Built-in video player for the playback of the downloaded videos. With the help of the Leawo Video Downloader, you can now easily download videos off YouTube. The YouTube Downloader is pretty easy to use, check out the instructions below to see how to use this YouTube downloader to download video from YouTube to computer. First you need to download the program from Leawo’s official site and install the downloader. It’s included in a software bundle named Prof. Media. Open it and click Video Downloader tab to enter the YouTube video downloader. 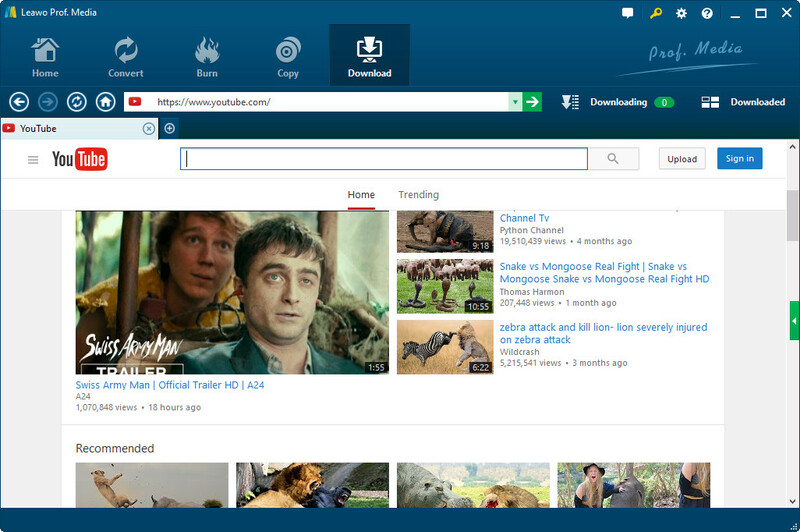 After entering the video downloader, the built-in internet explorer would open YouTube.com automatically. You can change it to other websites in the settings. And if you have the video link, just paste it on the address bar at the top of the browser to open the video link. When you open the link with the target video, the video downloader would automatically detect all the downloadable video sources on this page and present them to you on the sidebar on the right side of the interface. If you can’t see the sidebar, there must be a button with a green triangle on it in the middle of the scroll bar on the right. Click the button to call out the sidebar. All downloadable video source would be presented on it with detailed information like resolution, size, format and length. To download the video, just click the download button on it. You can find all the downloading and downloaded tasks under the tab Downloading and Downloaded next to the address bar. You can directly play the downloaded video within this video downloader. Below is the video guide of Leawo Video Downloader for your reference. When you download YouTube videos M4V format is not optional, you’ll need to convert the video downloaded from YouTube to M4V format. And to do that, you’ll need a YouTube to M4V converter. 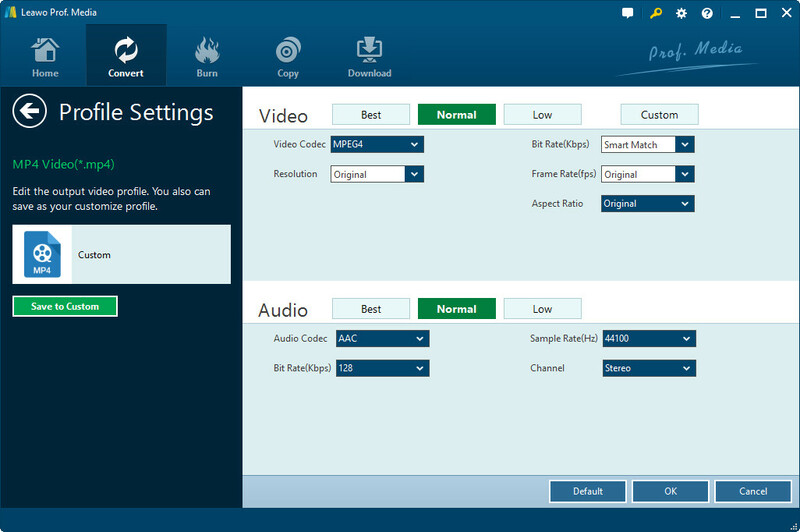 Leawo Video Converter is a powerful video converter that’s capable of converting video and audio between all popular formats. ☉ Converts videos between all popular formats. ☉ Comes with video editing features like Trim, Crop, Watermark and Effect. ☉ Supports 2D to 3D conversion. ☉ Allows users to add external subtitle and select audio channel. Below are the instructions for converting videos from YouTube to M4V format videos. 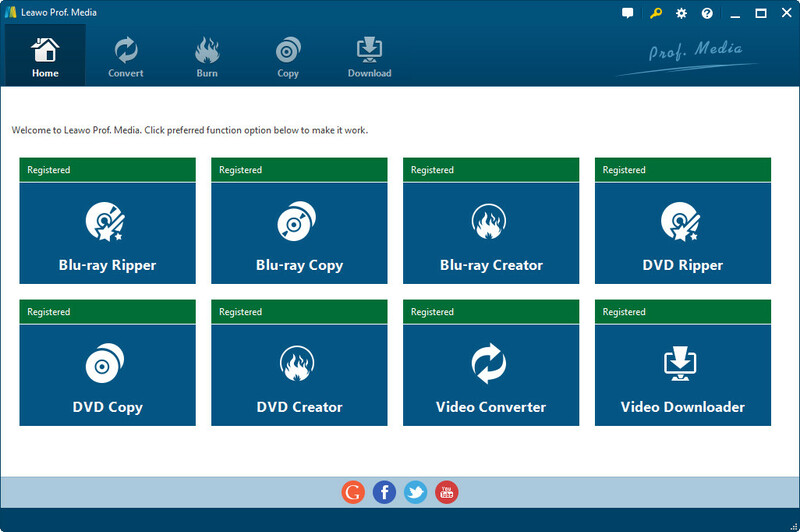 Go to Leawo Video Converter’s offical site, download and install the video converter. Open the program and you would find that it’s included in Prof. Media, Leawo’s comprehensive video processing tool. Click the Video Converter tab to load the converter. On the interface, click Add File button to import the downloaded YouTube video files from your computer to the program, or you can do that by direct drag-n-drop. To set M4V as the default output format, click the button on the left side of the green Convert button click Change button in the middle of the following menu to go to the format selecting panel. In the format selecting panel, click Format>Common Video tab. Under this tab you would find MP4, which is the same as M4V. Choose it as the default output format. Click the button on the left side of the green Convert button again and then click the Edit button on the left to go to the parameter setting panel and adjust the parameters of MP4 format. Adjustable items are as followed: Audio Codec, Bit rate, Sample rate, Channel, Video Codec, Resolution, Bit rate, Frame Rate and Aspect ratio. Go back to the main interface, click the green Convert button to call out a sidebar from the left of the interface. Set the output directory on the sidebar for the output file and click the Convert button at the bottom of the sidebar to start converting the YouTube video to M4V. Here’s the video guide of the Leawo Video Converter, you can use it to guide you through the process of converting videos from YouTube to MP4. You might not know that there’s actually one way to perform the YouTube to M4V video conversion. That is to use the YouTube to M4V converter online. There are websites that allow you to download videos from YouTube and provide the option of outputting M4V video directly. To make things easier for you, I would recommend onlinevideoconverter.com for you to perform this YouTube to M4V video conversion. Check out the guide below to see how to use this YouTube to M4V converter online to convert video from YouTube to M4V online. On the following page, paste the YouTube video link on the link box and click the Format box, on the drop-down menu, choose M4V as the default output format. click More Settings to choose the quality of the output video. Click “Start” button and this online video converter would start generating the right video for you to download. 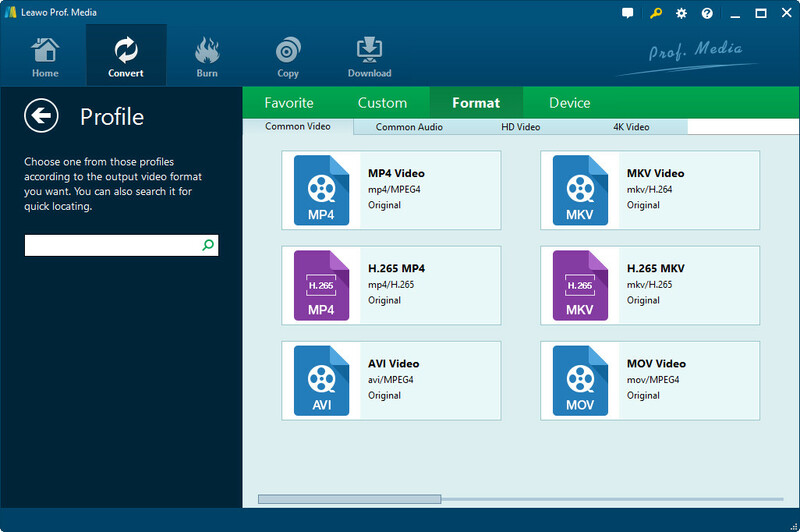 after finishing the second step, the online video downloader would provide you with a download link, click Download button to download the M4V video.